Thanks to your knowledgeable and experienced guide, you will explore Paris like never before. He will also share with you his best anecdotes of the neighborhood life and tell you about the history of the buildings and the lives of the people connected to the hidden places he shows you. 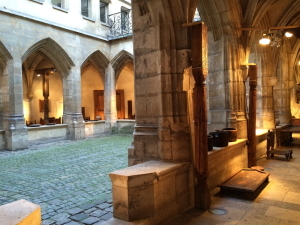 ♥ New Tour Paris only reveals its secrets to those who know how to venture off the beaten tracks. On this tour, you will explore the capital far from the crowds of tourists with a born and raised Parisian. 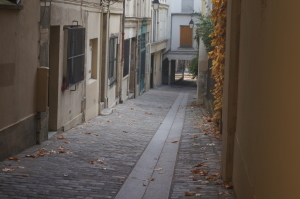 Your guide will introduce you to the hidden places and secrets spots usually familiar only to Parisians. He will show you where to look behind an iron gate or on the other side of a garden wall to discover curiosities and small details that others miss. 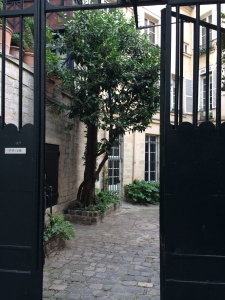 Paris has lots of surprises in store for you so just follow your guide and get lost in the small streets of Paris… Your Licensed English Speaking Guide will pick you up in front of your hotel or apartment in a private, luxury vehicle. Before starting the tour, he will give you tips and techniques to help you discover the unexplored Paris and see the capital from this unique angle such as where to look and how to appreciate the smallest details and above all, to stay off the beaten path. Secrets are always fun to Explore !!! You will have time to enjoy a glass of wine with a great lunch (not included) in a traditional restaurant in the heart of Paris. In accordance with your wishes, we will make a booking at the best place. Your guide knows all the authentic and local restaurants away from the tourist crowds, so he can best advise you with your selection. 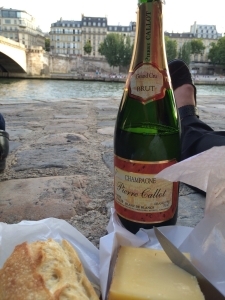 Depending on the weather, it is also possible to have a picnic along the Seine river or in the Luxembourg garden so it will be fun for all the family. All of our stops and restaurants have been carefully selected by us to provide a top quality tour that combines the right mix of fun, history, adventure, comfort and relaxation. Let’s get lost in Paris !!! It is impossible to have a complete image of Paris without getting lost in the small streets of the capital but it isn’t so easy these days. After lunch, you will follow your guide for a hidden walking tour in Paris and you will listen to some stories that only locals know about. Visit small and delicious shops while walking through the narrow and winding streets of the city. Feel like a Parisian on the terrace of an old cafe. At the conclusion of the tour, your guide will drop you off back at your hotel, or wherever you wish, in Paris.